Amanda Robinson was born on November 12th, 1989 in Brooklyn, New York to two Jamaican migrant parents, and is the youngest of three daughters. She discovered her love for words at an early age, and kept a journal like many girls do. However, in this journal, Amanda would manipulate words and challenge her imagination by writing poetry and even short stories. In High School, she was a part of the spoken word club where she was able to further explore and develop her gift of writing, and even had the opportunity to bring her words to life by performing some of her poetry. Amanda began her undergraduate studies at Adelphi University, initially pursuing a Bachelor’s degree in nursing. 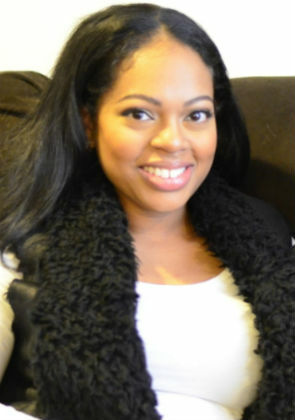 However, after transferring to Medgar Evers College and reevaluating her life’s goals, Amanda decided to pursue a degree in English instead, where she is currently working to cultivate her writing abilities and perfect her craft. Amanda married the love of her life, Dashawn in March of 2014. They are the proud parent of two daughters, Yanaya and Zara. Tell us how much you like Amanda Robinson.